Beige medium heel loafer. Heel height 5 cm. Leather lining. Leather sole. Made in Italy. Metallic leather loafer with horsebit. Heel height 2 cm. Leather lining. Leather sole. Made in Italy. Suede slippers with crystal details. Heel height 2 cm. Leather lining. Leather sole. Handmade in Spain. Leather loafer. Heel height 2 cm. Leather lining. Leather sole. Made in Italy. Snake printed leather loafer with studded details. Heel height 2 cm. Leather lining. Rubber sole. 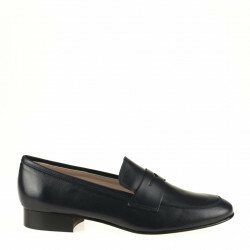 Leather loafer with studded details. Heel height 2 cm. Leather lining. Rubber sole. Leather slippers with studded details. Heel height 2 cm. Leather lining. Rubber sole. Leaf embroidered suede loafer. Heel height 2 cm. Leather lining. Leather and rubber sole. Made in Italy. Cat embroidered suede loafer. Heel height 2 cm. Leather lining. Leather and rubber sole. Made in Italy. Blue suede leather lace-up shoes. Leather lining. Rubber sole. Heel height measures 2 cm. Made in Italy.